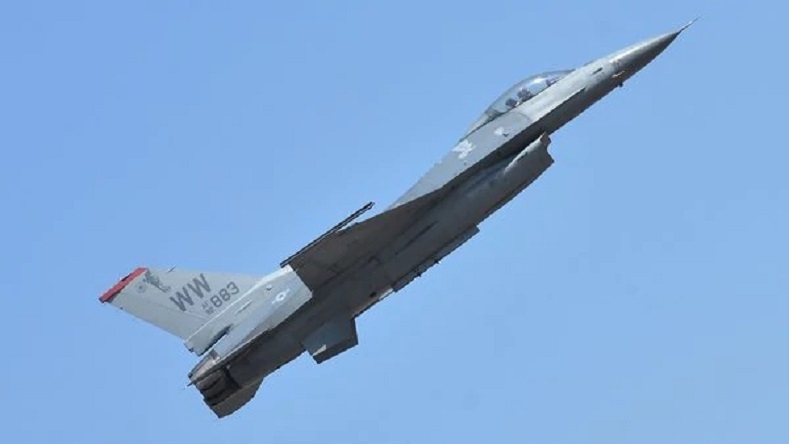 PAKISTAN on Monday for the first time indicated that F-16s might have been used to hit Indian fighter jets during the aerial combat on February 27 and said Islamabad retains the right to use “anything and everything” in its self defence. Pakistan’s military spokesman Maj Gen Asif Ghafoor issued a statement with reference to what he said “repeated Indian claims” about shooting down of Pakistani F-16 by India and use of F-16 in the air battle on February 27. “As regard Pakistan Air Force (PAF) action for strikes across Line of Control, it was done by JF-17 from within Pakistan airspace,” he said. Later, when two Indian jets crossed the Line of Control, they were shot down by the PAF, he claimed. “Whether it was F-16 or JF-17 which shot down 2 Indian aircraft is immaterial,” he said. He further said: “Even if F-16 have been used as at that point in time complete PAF was airborne including F16s, the fact remains that Pakistan Airforce shot down two Indian jets in self defence.” Ghafoor said that Pakistan had right to use anything for its defence. “India can assume any type of their choice even F-16. Pakistan retains the right to use anything and everything in its legitimate self defence,” he said. He also rejected that any F-16 was destroyed by Indian Air Force in the dogfight. “The event of February 27 is part of history now. No Pakistani F-16 was hit by Indian Airforce,” he said. Last month, Ghafoor said that only JF-17 was used against India on February 27. Amidst simmering tension with India, a large Unmanned Aerial Vehicle (UAV) and at least four F-16 jets of the Pakistani Air Force were detected by Indian radars flying close to Khemkaran in Punjab on Monday morning, sources said. The Pakistani aircraft retreated after Indian Air Force scrambled its Sukhoi-30MKIs and Mirage 2000 fighter jets in response, sources added. This comes over a month after a PAF F-16 was shot down by IAF's MiG-21 Bison piloted by Wing Commander Abhinandan Varthaman, who was later taken into custody by Pakistan after he crossed over during the mid-air dogfight. Several Pakistani drones trying to intrude into the Indian territory have been shot down by India.